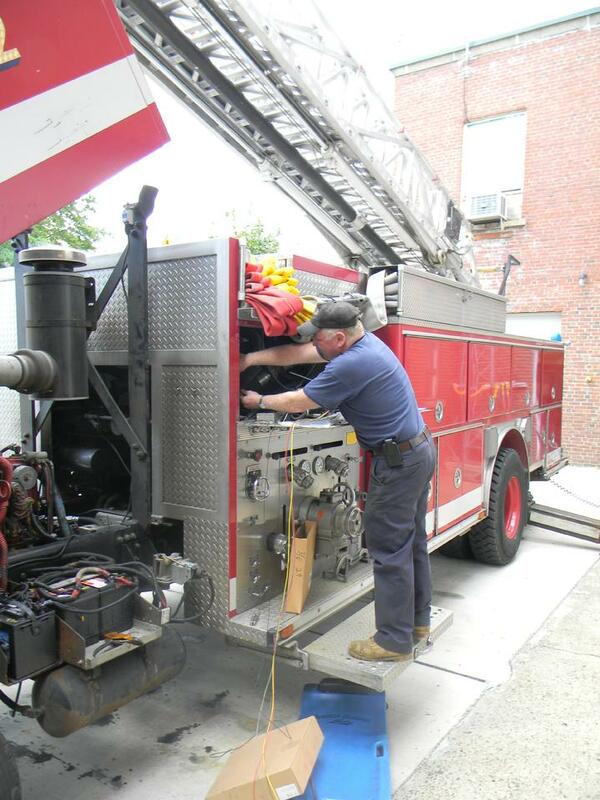 Department Mechanic Jack Morris is responsible for maintaining all of the Department’s Apparatus. From the Fire Boat to the newest Quint, Jack insures that equipment is capable of responding to Emergency incidents and performing as required when called upon. The Department currently owns 4 Pumps, 2 Quints, 1 Fire Boat, 1 Dive Truck, and several general purpose/utility vehicles. While Firefighters conduct daily inspections on vehicles, Jack insures that any deficiencies found during the inspection get fixed right away.